Mold is a common problem that affects many houses. But is it really dangerous? And if so, how does one go about getting rid of it? One thing that you need to understand is that there isn’t just one specific type of mold. In fact, there are thousands of different types of mold in the environment. Just like with any other living organism, different types of molds will thrive under different conditions (humidity levels, temperatures, etc. ), which means that some types of mold grow outdoors, while others will be commonly found inside homes and other buildings. Allergenic molds usually won’t produce serious health problems in the majority of people, but they can affect those who suffer from allergies or asthma. Pathogenic molds may produce infections in humans and animals. The severity of these infections can vary, but most people who have healthy immune systems will be able to resist an infection if they come in contact with these molds. However, they are still a health concern, as they can produce serious negative health effects in people with suppressed immune systems. Toxigenic molds are able to produce poisons called mycotoxins. The effects of these poisons will vary from just a mild irritation, to potentially serious consequences that could come with long-term exposure, such as cancer and a suppression of the immune system. Other common symptoms of exposure to toxigenic molds include cold and flu-like symptoms (fever, runny nose, bleeding nose, headaches, fatigue). Due to their potential for causing serious health effects, toxigenic molds are considered to be the most dangerous. The term “black mold” is now often being used to describe any type of mold that is toxigenic, even though not all molds that are black in color would produce dangerous toxins. It isn’t easy to find out whether a certain type of mold is toxic without sending it to a lab for further testing, but if you see any type of mold in your house, you should take immediate action to get rid of it. One point that I can’t stress nearly enough is that if you find any type of mold at home, you will need to clean it up. How exactly this can be done depend on the size of the area affected by mold. If it’s just a small area in the shower, washing it away with a sponge soaked in bleach and rinsing the area with water should do the trick. If the mold is on a wall, another common technique to get rid of it is to pour undiluted vinegar into a spray bottle and spray it on the mold. Vinegar is a natural, safe and effective mold killer. Let the vinegar sit on the mold for about an hour, then rinse it off and dry the area. While there will be a relatively strong smell of vinegar, it goes away on its own in a few hours. While these do-it-yourself methods may bring you some success, I would seriously recommend that you contact a professional mold remediation company. 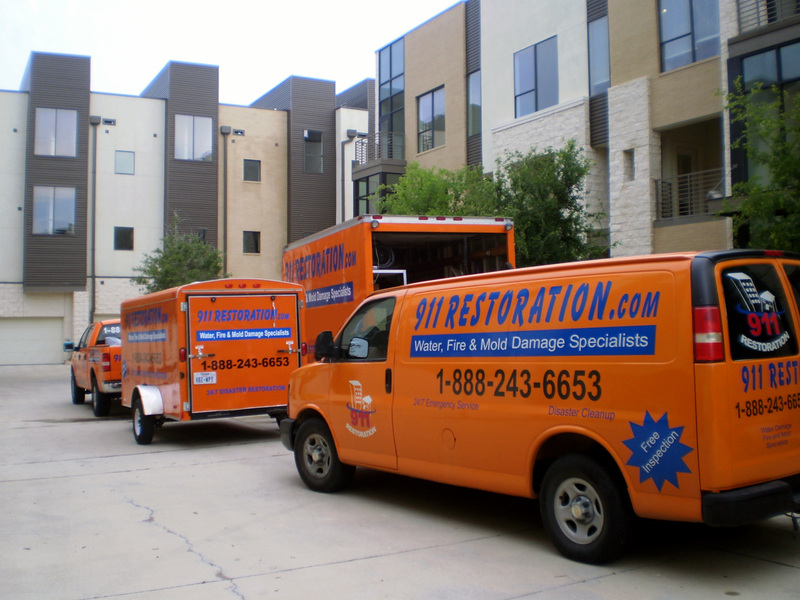 They have the tools and experience needed to get rid of any type of mold safely and very efficiently. They can also test your home for mold that you may not be able to detect on your own, and can often work through your insurance to keep things affordable.